The modern eCommerce sphere represents new challenges for companies with incredible speed. Want to be sure that your customers’data is protected? 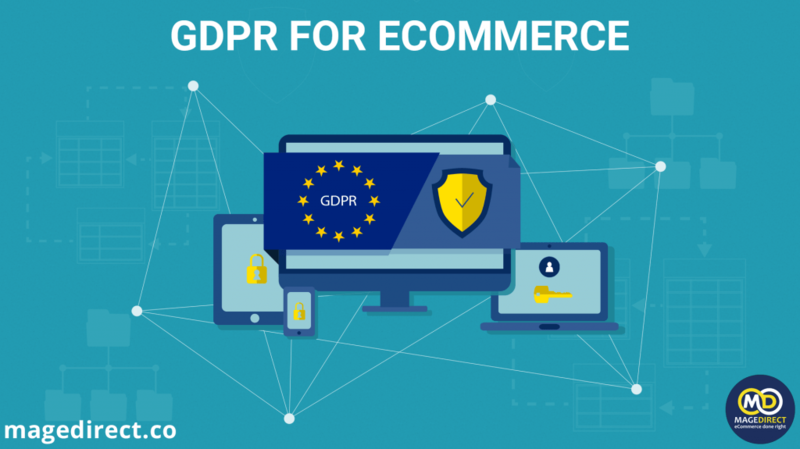 Your way is follow all the GDPR standards.that is why we recommend you to take a look at our article, that represents all the important information about GDPR in eCommerce sphere: https://magedirect.co/gdpr-for-ecommerce/. This extension is in development and will go live as soon as possible. To track the release of this extension and join the pre-purchase program for 20% discount, you can visit the product page of GDPR Extension for Magento 2. Download Free GDPR FOR MAGENTO 2. GDPR for Magento 2 is an extension which helps e-commerce stores to comply with some of the most essential GDPR regulations.